Trusted by the top commercial relocation companies. Find out how we can help your business. We offer the finest customer service at every level; from ordering to point of delivery or collection and everything between. Premium service at competitive rates, and if you hire crates regularly you can save even more with a trade account. Pluscrates was launched in 2008 to meet the demand for a premium crate hire company, and since 2010 we have been the largest independent crate hire company in the UK providing nationwide service from 5 regional service centres in Scotland, Manchester, Birmingham, London, and Bristol. Pluscrates operates its own fleet of fully liveried, LEZ compliant vehicles which we use to deliver crates nationally on a daily basis. Many the top commercial relocation companies in the UK rely on us every day to fulfil their crate hire requirements. If you don’t use crates for your professional moves, you have to ask yourself why? Crates are used by all top commercial removal companies in the UK. They’re strong, robust, stackable and far more secure than cardboard. They are weather-proof, so the odd British drizzle doesn’t scare them. Perhaps most importantly, they are clean! Washed in between each use, so you know they are safe to store what you need them to. We offer the finest customer service experience at every level; from the initial request for crates all the way through to our physical contact with your customer at the point of delivery or collection – the moment of truth. Our trained, permanent, full-time drivers and porters are the most experienced in the business, some having been with us since our inception and others with lengthy previous experience in commercial relocation. Uniformed and operating from our own custom built and liveried vehicle fleet the quality of our crews are key in differentiating the quality of our service compared to our competitors. Pluscrates directors John Mitchell, Neil McGuigan, and Nick Flaxman, boast a combined 78 years’ experience in the crate hire industry and provide incisive, hands-on support to the management team responsible for the day to day running of the business nationally. Our younger, forward thinking team are continually bringing new ideas, products, and services to our business, adding modern technologies and concepts to our proven services. We are moving the moving industry forward. 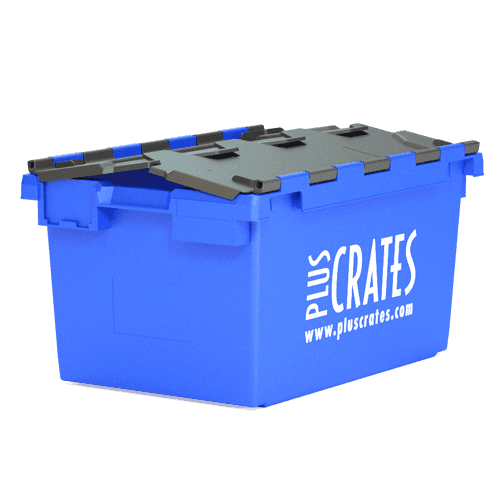 Beyond your customers’ service experience on-site, the Pluscrates admin team are always there to assist you and provide the help and support you need to manage the crates you have on hire from us. All of our account customers benefit from 24/7 access to our customer extranet portal. The Pluscrates extranet allows you to place orders and check current on-hire figures and booked jobs. We are premium crate hire experts to the Commercial Movers industry for both relocation and internal reorganisation as well as being the UK’s largest independent crate rental specialist, with full levels of online and offline service support including a customer extranet. Our dedicated customer service team have many years experience working in the crate rental business and are on hand to help with all crate related enquiries. The service we offer here at Pluscrates commercial crate hire is designed to help you achieve your business move as easily as possible, by supporting the requirements of commercial removals companies, facilities managers, or any business planning a relocation or reorganisation. With only twenty-four hours notice we can provide crates to the location requested by you. Is there a crate hire emergency? We can help with last-minute emergency deliveries with less notice, for an extra fee. Commercial crate hire is one of the best solutions for short term or seasonal use with the strength and security benefits of crates that are manufactured by Advanced Crates Ltd. Storage, moves and relocation are very important in facilities management and the commercial relocation industry and our crates are ideal to make sure your items are stored and moved safely. We have been working closely with companies to build lasting partnerships based on the exceptional quality of service and our premium quality products. We offer coverage throughout London with our fleet of fully liveried LEZ compliant vehicles. If you would like more information on any of our products, services, or trade account benefits, don’t hesitate to get in touch.